Today many online techniques are available that can make it very easy to make money and one who is passionate about writing can make blogging as a way of earning. 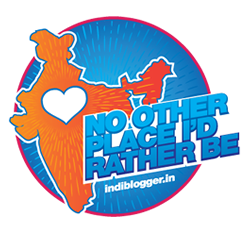 Today there is a number of bloggers who are even able to earn in lakhs through blogging itself. One who is willing to promote products and services through blogs can fulfill their passion for writing and at the same time can make money. So, people who are looking for options that can help them to make money through blogging must consider below-mentioned techniques and work accordingly. Content is one of the most important factors to become a successful blogger. Content must be according to the topic and it must be user-friendly so that customer finds it interesting and it can even boost to write more interesting and to the point. Fresh and new content is also very important for all bloggers so that customer’s stay connected and every time they find something new and interesting. Traffic is required if you wish to become a successful blogger and wish to earn money through it. Some of the easiest ways that can help to get traffic are SEO, social media, link building and many more. One who is able to build relationships with the targeted audience can make it easy to become successful. Readers must have trust in your content and it will lead to building healthy relationships. Bloggers who are writing blogs regarding the launching of products or services can earn good amount of income. But to get good earning it is equally important to select the best product for promotion so that customers can trust on content. Bloggers must analyze before starting writing so that it becomes easy to understand the requirement of customers. Ads and links are being used along with a blog and so when any purchase is done through link commission is been allotted to blogger also. It is website who will give approval to affiliate link to blog and also commission is decided by the website itself. Bloggers who are willing to earn money through writing can opt for advertising network. It gives freedom to put ads on blogs and further while clicking can help to earn good amount of income. People who are willing to sell some products or services and at the same time a blogger it is easy to make money. One is free to design products according to demand and promoting your own product at your own written blog can help to earn good amount of income. It is the most convenient and easiest way to make money. One of the easiest ways for any blogger to monetize money through it is placing ads directly on blogs. It is nearly similar to Ad Networks where a blogger has control over ads. They are free to choose where ads are required to be displayed or not everything is dependent on blogger itself. Most importantly is blogging being the way of income one is not just free to decide ad that is to be displayed but at same time pricing of ads is also maintained by blogger. These are some of the common ways by which blogging can help to earn money and one can even consider it as a source of income. One thing which must be in mind of every blogger is to enjoy writing and try to bring hidden creativity. Techniques and factors when considered can make even bluffer earn good amount of income. Blogs which are able to get customers can really try different technique which can make easy to get money from it. Bloggers who are trying to promote any product or services must make sure that customers get the right information and are not misguided. Bloggers who are able to build their own community can get different sources which can help to make money. The professional network will help to gain access to blogs in different workshop and seminars where customers are also increased. A blogging platform is also very important when willing to make it as a source of income. There are many people who are just blogging to share their knowledge and ideas and not a source of income. But one willing to get income through it must be very particular while selecting a platform to publish it. If promoting products or services opt for the best websites who are ready to post your blogs. This will help to increase audience and at the same time using above given techniques income is also earned through it. So, now start writing blogs to monetize money and mane it as the best source of income.